Easy to remove bird droppings and dead insects stuck build! There is no damage to the painted surface. Remove bird dropping and insect stuck build by dissolving it?! Very easy to clean without rubbing! So no damage on the paint surface. 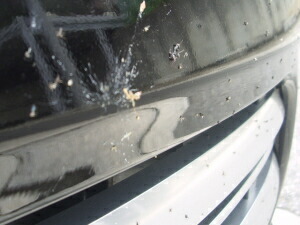 Often dead insects or bird droppings stuck on your car. This product dissolves them for easy removal. The characteristic for this product is dissolving the insects and bird droppings. It is hard to remove them once they stuck on car and dry out. Up to now, everyone used old towels and clay to remove them. But it scratches car surface. 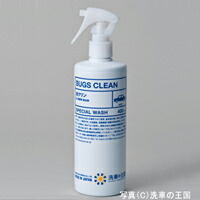 However if you spray “BUGS CLEAN”, it dissolves. You only need to use water and wash off by using sponge. You do not need to scrub the surface anymore.. If you have been having the insect issues and bird issues, please try it out. 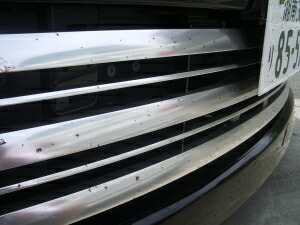 Our professional shops had issues with removing dead insects after owners drove their cars especially at night time. 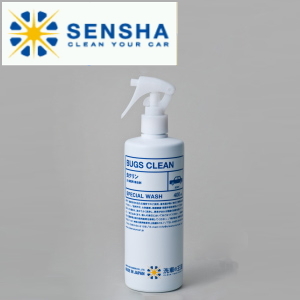 Then we developed this product “BUGS CLEAN”. It dissolves insects, all you need to do is just spray. It does not damage the car surface. We will let you know how exactly you can remove dead insects. It is very easy to use and removes all insects, blood and bird droppings. The sticking blood of insect is getting dissolved out. As you can see, the bird dropping is getting dissolved!